A new style of fire starters to warm their hearts! Fall and winter weddings are just around the corner. Order your fire starter wedding favors now and we will schedule shipping on the date of your choice. 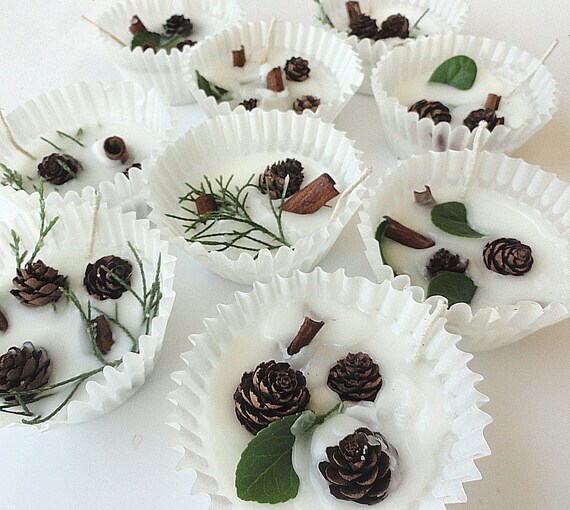 Handmade with natural soy based wax, pine clippings, miniature pine cones, bay leaves, and cinnamon sticks. Fills the room with the natural scent of pine, along with a hint of cinnamon sweetness. Place in a contained area, such as a fireplace or fire pit. Light the wick and enjoy! Each fire starter burns for approximately 30 minutes. Set of 50 fire starters, available with or without packaging and personalized tags. Shoppers now have the choice of saving money with diy assembly. Favor boxes and clear gift bags are tied with white ribbon, unless otherwise requested. message for your tags (if applicable) *We ask that you limit the amount of text to 4 lines with a maximum of 15 char. per line.